The father of the entire Jackson clan, the 87-year-old Joe Jackson fell ill during some routine tests and has been in a hospital in Los Angeles since last Friday. According to the reports, Jackson went to the office of his personal physician on Friday where he spiked a fever and became weak. He was immediately taken to the hospital for treatment and observation and is still there. The fever has persisted and doctors are unable to figure out the cause behind it. Jeramine, his son said that his father was getting better. He said his father is really strong, but he is 87. Still, he is doing fine since he is telling jokes. Last summer, Joe had been hospitalized in Brazil when he suffered a stroke. He had gone to the country for celebrating his 87th birthday. Joe had married the mother of the Jackson brood, Katherine in 1949. In 1950, the couple had their first child, Rebbie. Jackson had played for a group called The Falcons in the early 50s with Pookie Hudson, but they broke up when Pookie joined The Spaniels. 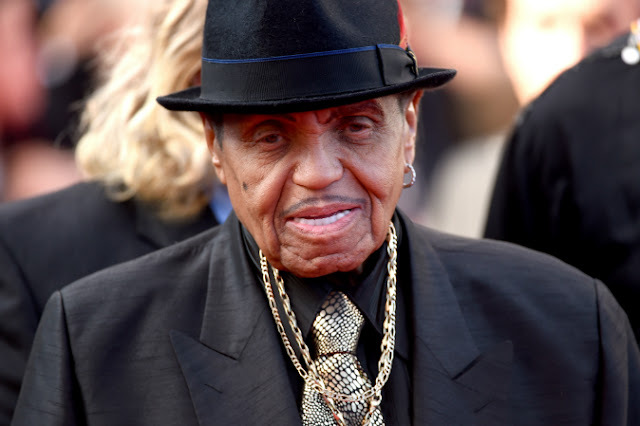 Jackson took an interest in the musical prowess of his children in the early 60s, first with sons Tito, Jackie and Tremaine and later on with Marlon and Michael. Jackson was renowned for pushing his sons relentlessly to rehearse for long hours and his efforts finally paid off when Diana Ross took the band under her wing in 1969 and this led to their first hit titled I Want You Back. For many years, he continued managing his children’s careers, even though some family members were not close to him personally. Katherine and Joe are not just parents of the five members of the Jackson 5, they have other children La Toya, Rebbie, Randy, Brandon and Janet.